One of the reasons why Android operated devices are highly welcome in the market is their exemplary multitasking capabilities. However, there is a price to pay for this. To maintain a good number of applications running in the background and on demand, the processor has to constantly keep a record of running apps and actively swap every now and then. As the number of services accomplished by the processor increase, so does the devices power consumption. 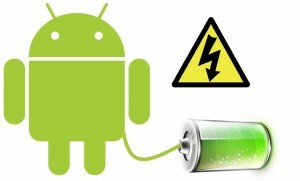 However, there are a couple of things that you can do to reduce your gadget’s power consumption. This freedom draws from the characteristic customization capabilities that Android devices possess. You can shut down some services and functionalities that you do not need and reduce the hardware performance to save battery juice for a nobler course. Below are some of the basic tricks to help you accomplish this. Most of the services and applications bundled into our Android devices do not have to run 24/7. For instance, you will not use you Wi-Fi, Bluetooth and data connection continuously. Even though these services make the device more functional, they also consume a good amount of power whenever they run, whether on active or idle mode. To save on power, only turn on wireless connectivity when you intend to use it. Additional functionalities that may look cool but are unnecessary and power consuming include vibrations. Only use haptic feedback where necessary to conserve power. In bid to keep smartphones smart, most designers give them the power to ‘talk’ to the internet. The basic idea behind this is to allow the phone to access and process data on your behalf. However, such powers would be useless in some instances. To ensure that your phone does not consume power processing unnecessary notifications or accessing the Internet every now and then for futile synchronization, you could turn off auto-sync and report generation for most of the apps and only let the most important applications retain this capability. This will help your device will stay alive for longer due to reduced power consumption. Even though statistical reports show that the number of people purchasing smartphones is on the rise, not all of them know how to optimize their power settings. Developers seal this gap by releasing applications that help you regulate the number of processes your phone executes per unit time and the speed of execution to cut down on power consumption. With a swift and convenient way to access most of the native setting from under the same roof, you are in a position to optimize your device to best suit your environment and requirements. The most basic things that you can change using these applications include screen brightness, processor frequency and allowed limit of process per unit time. As device manufacturers struggle to create better display units, the power needed to run the high-resolution screens increases exponentially. Rendering high quality graphics on the screen at high brightness levels consumes more power than rendering still and dull graphics. When selecting your wallpaper and themes, go for something dull and simple to cut down on power hogging. These are just some of the things that you can do to your smartphone in a bid to cut down on its power consumption. Though these measures might reduce your device’s performance, they are helpful especially if you do not have the opportunity to recharge every now and then. Next PostNext Can $20 apps survive in the iTunes App Store?